Free and Clear shampoo is formulated for individuals with allergies and sensitive skin. 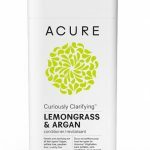 This hair care line is also perfect for individuals that prefer to use shampoos and conditioners that are free of irritating chemicals and that have not been tested in animals. Free and Clear shampoo is cruelty free, and ingredients are safe for vegans and vegetarians. purified water, dicetyldimonium chloride, cetearyl alcohol, stearamidopropyl dimethylamine, propylene glycol, ceteareth-20, tocopheryl acetate (Vitamin E),panthenol, potassium sorbate and citric acid. Free & Clear shampoo is not perfect for sensitive skin, as it actually treats conditions such as dandruff. 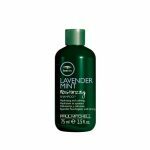 This shampoo and conditioner is also suitable for oily, normal, dry, and combination skin. To use Free & Clear Shampoo, apply to wet hair. Lather, rinse and repeat. 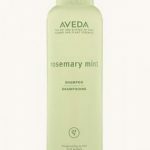 Use Free & Clear Conditioner after shampooing for best results. Other Free & Clear products include Free & Clear Liquid Cleanser, Free & Clear hairspray, Vanicream Moisturizing Skin Cream & Lite Lotion and Vanicream Cleansing Bar. To purchase 12 oz. 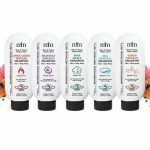 bottles of Free & Clear shampoo, visit online retailers such as Amazon.com, Natallergy.com, Dermastore,com and Drugstore.com.